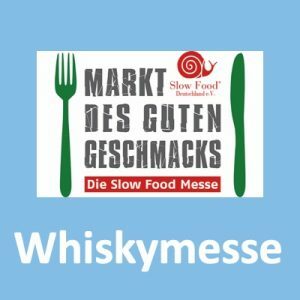 Es ist wieder soweit. 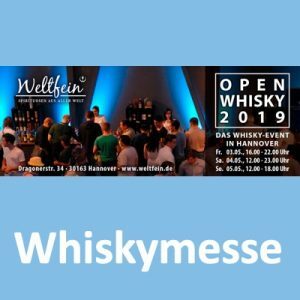 Hier findet Ihr die Neuerscheinungen der Woche (NdW 14|19). 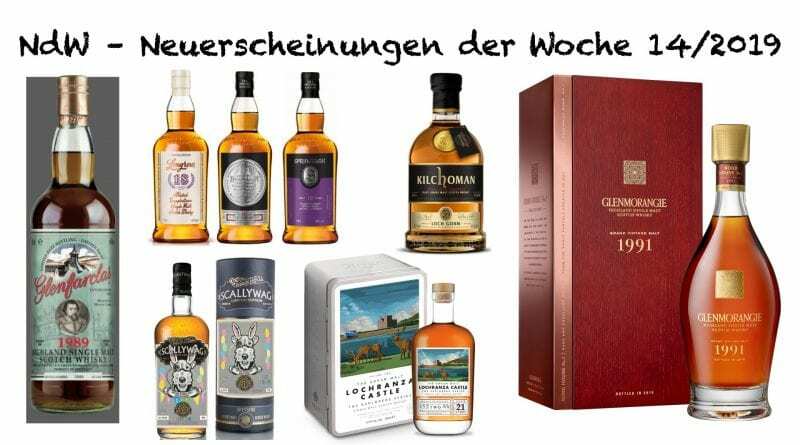 Von Glenfarclas die Edition 23. 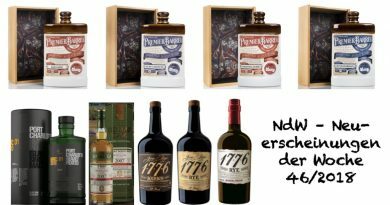 Longrow, Hazelburn und Springbank in neuen Auflagen. 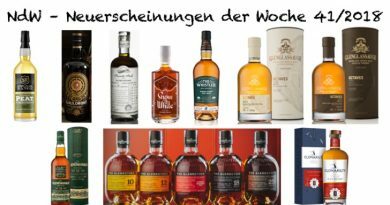 Bei Glenmorangie einen 1991er aus der Bond House No.1 Kollektion. Douglas Laing einen Oster-Scallywag (exklusiv für Deutschland). 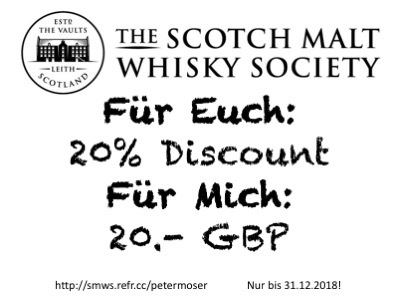 Bei Arran gibt es einen 21-jährigen und bei Kilchoman den neuen Loch Gorm im Shop. Nose: Tablet and salted jerky. Followed by heather, parma ham and smoked applewood cheddar. Palate: Lemon zest, coffee beans, clotted cream, liquorice and cigar box. Finish: Salted caramel, pepper, coffee beans and the waxiness of banana peel. Nose: Lemon meringue pie, pear skin, olive oil, almonds and dige- stive biscuits. A typical Kintyre coastal brininess comes to the fore. Palate: In the background; dried bananas, coconut shavings and butterscotch. The more promi- nent; carrot cake, treacle and freshly squeezed limes engulf the palate. Exklusiv für Deutschland. 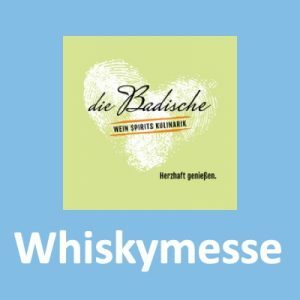 Aus der Pressemitteilung: „mit einem extra hohen Anteil an Sherryfass gelagerten Whiskys…. 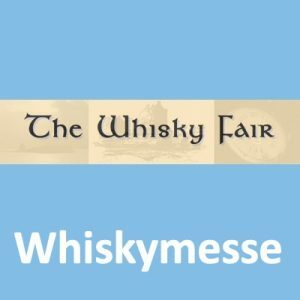 Cara Laing, Director of Whisky im Familienbetrieb, hierzu: ‚Für die Naschkatzen unter uns sind Scallywag und Schokolade eine perfekte Kombination. 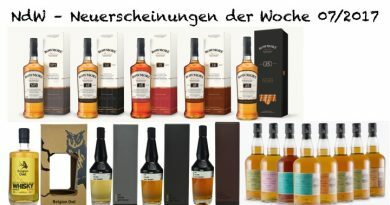 Der reiche, fruchtige und mundfüllende Charakter unseres Speyside Malts ist die perfekte Ergänzung zu köstlichen Schokoladeneiern, so dass es durchaus sinnvoll war, eine einzigartige Scallywag Abfüllung mit 48% Vol. zu kreieren um Ostern in Deutschland zu feiern. Cheers, Cheers!‘„. 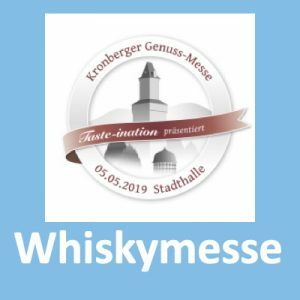 Ab dem 08.04.2019 erhältlich. NOSE: Rich, layered and complex. Caramelised almonds and chocolate covered crystallised ginger dovetail with deep aromas of dried apricots and caramelised brown sugar. Dusty smells of the dunnage warehouse abound. 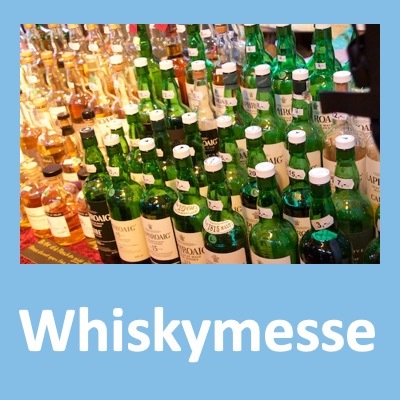 PALATE: Bright and mouth coating, showing notes of honeycomb and salted caramel. Herbaceous accents offset the orchard fruit which comes to the fore to display the ever-present Arran house style. 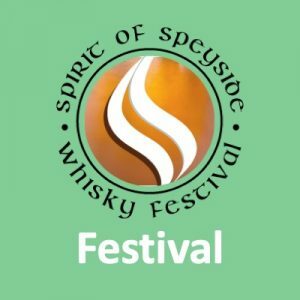 Seamless integration of age, wood characters and Arran spirit. FINISH: Enigmatic, developing toward Assam tea and subtle cigar smoke. A resurgence of freshness completes the circle. A fabulous example of Arran in more advanced years. NOSE: Dried fig, orange peel and sea salt with hints of bacon, oaky spice, cinnamon and citrus sweetness. PALATE: Stewed plums, morello cherries and dark chocolate with layers of salted caramel, herbaceous heather, honey and wet ashy peat smoke. FINISH: Cooked apples and pears with waves of all spice, dark chocolate and barbeque smoke.